In addition to increasing productivity, the introduction of industrial robots has increased wages for the employees. At the same time, industrial robots have also changed the labour market by increasing the number of job opportunities for highly skilled employees, while opportunities for low-skilled employees are declining. The study "Robots at Work," written by Georg Graetz, a researcher at the Department of Economics, Uppsala University, and Guy Michaels, London School of Economics, examines the impact of industrial robots on jobs, productivity and growth. The study, an empirical analysis of the economic effect of industrial robots, is based on statistics from 17 countries from 1993 to 2007 in 14 different types of industries. Industrial robots are programmable and are widely used for assembly, packaging, inspection and agricultural harvesting. 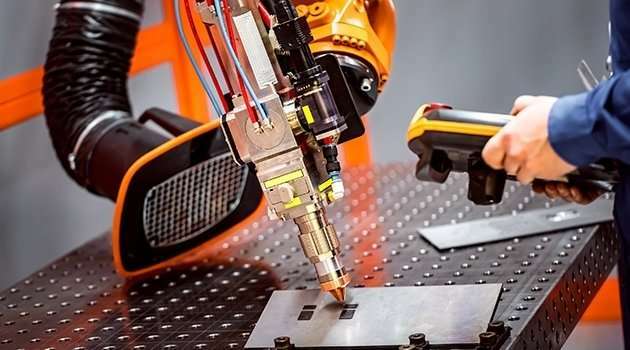 During the period under study, use of industrial robots increased sharply, while the price of the robots declined by about 80 per cent, taking into account increased quality. "We can see that industrial robots increase employee wages and increase productivity and that the number of jobs for low-skilled employees, and also to some extent for the medium-skilled, decreases, while job opportunities for the highly skilled increase," says Georg Graetz. In other words, the analysis shows that industrial robots increase wage levels for the employees. "Most likely the profits realised through the introduction of robots are divided among the company and its employees." The composition of the labour market is changing towards a higher proportion of highly educated employees, while at the same time the study suggests that the total number of jobs is not affected by industrial robots. Industrial robots increased the annual growth in GNP in the countries surveyed by 0.37 percentage points, and labour productivity increased by 0.36 percentage points. "This means that without industrial robots, growth in labour productivity would have been about 5 per cent lower during the 14 years we have studied." The contribution of robots to the economy is comparable to the economic importance of the railways in the 19th century or the more recent contribution from information and communication technology. "In this context, it is interesting to note that industrial robots account for only 2 per cent of capital, which is much less than technological driving forces for growth in the past." Of the surveyed countries, the number of robots increased most in Germany, Denmark and Italy. Countries that had a more rapid increase in the number of robots also had a greater increase in labour productivity. The results of the study suggest that an increasing number of robots produces a reduced increase in productivity – that is, there is a limited potential for utilising robots in production. But researchers still believe that robots will continue to contribute to an increase in growth and productivity. There is probably a valid point to be made here somewhere, but companies don't justify spending huge sums of money on robots to increase the overall wages of their employees.